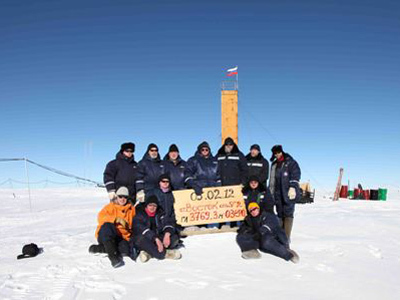 Jubilant Russian scientists are carrying home 40 liters of relic water, which waited for them, unblemished, in the Antarctic, long before the man first trod the Earth. 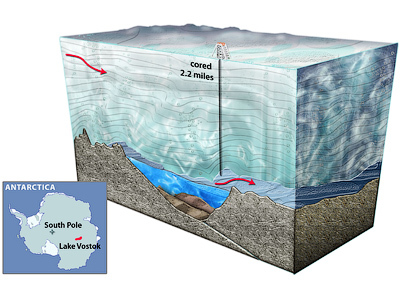 Lake Vostok’s treasury is ready to reveal its millions-year-old secrets. ­Forget the world’s economic crisis and civil war in Syria: the severe, majestic Antarctic is opening up its eternal fridge to the mankind. Scientists at Vostok Antarctic research station – drilling towards the largest freshwater tank, corked for 20 million years in eastern Antarctica – secured several dozen liters of prehistoric water. Drilling through over 3,700 meters of quality ice is no fun, especially if you do not want to contaminate anything lying underneath. 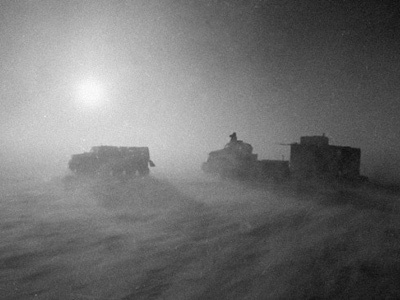 The international community has been grinding into the glacier for 30 years. 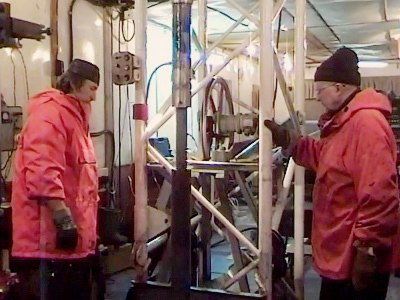 Rival Western expeditions have been using the hot-water drilling method – boiling the ice – which is slower but cleaner. On February 4, it seemed to finally give way, when the drilling machine plunged into water! The ice taken to the surface by the drill was glazed in a way only water could do. The machine also brought back 40 liters of water – frozen, naturally, given the temperature in the crack never goes higher than -55 Centigrade and all the 3766 meters it had to travel up. But the next plunge proved the work was not yet over. The following day, drilling liquid gave a sudden massive splash – some 1,500 liters of kerosene and Freon poured into special containers. The scientists first held their breaths, skipping several heartbeats. But there was no doubt any more: Vostok had opened up! The lake water, rising up to 40 meters due to under-pressure in the crack, pushed the drilling liquid back onto the surface. It had cost the team 3.3 additional meters of drilling. Relics of ancient life, clues to climate change, the whole history of planet Earth – scientists have everything to look for in the lake. 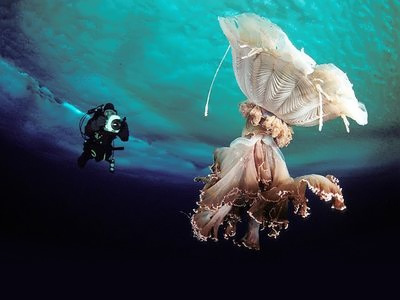 The biggest closed ecosystem ever found, Vostok is as alien as the lakes on Jupiter's moon Europa. But carving a threshold to this science treasury is not the only triumph for Russian scientists. Their technology to drill into the pristine waters and preserve them immaculate has proved to be efficient. This is the reason the project halted in 1998 just 130 meters from the lake’s surface and did not resume till 2005: the world community feared contamination. Russian technology, involving the kerosene-Freon drilling liquid, helped to avoid that. Now the scientists are heading home. The water they collected from the lens just over the lake is traveling with them in special sterile containers. The team will come back to the station in a while to take samples of Vostok water, which is believed to be “twice as pure as double-distilled water.” They say their success is the best present to Russia celebrating Day of Science on February 8.